Time for adventure at this exotic and lush retreat! 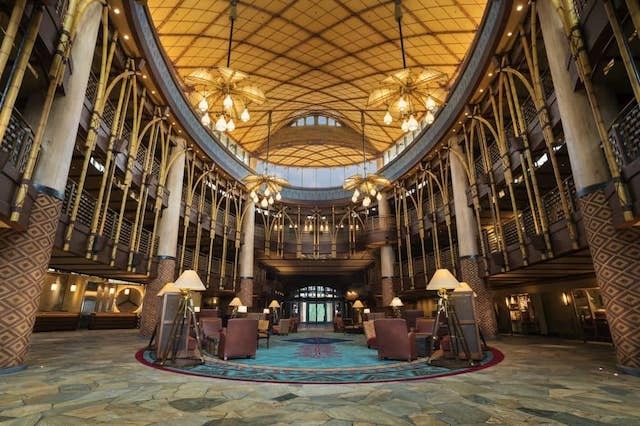 The Disney Explorers Lodge is the largest and newest Disney property in Hong Kong. 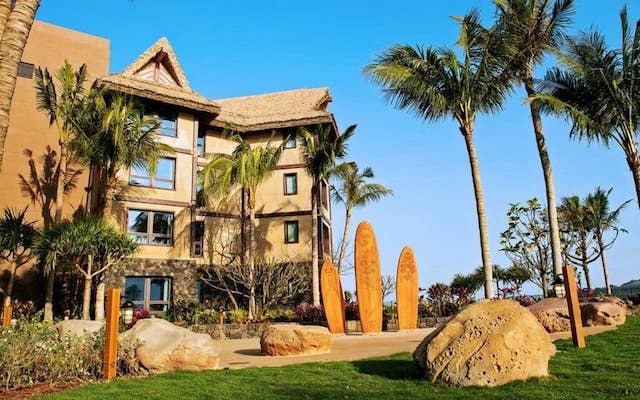 With its adventure theme, the Lodge differentiates itself from the other two properties, the lavish and elegant Disneyland Hotel, and the funky and art decoish Hollywood Hotel. Despite its "rustic" and jungle-like feel, the Explorers Lodge is anything but. The ammenities at this hotel are top notch, and the Disney touches are everywhere you turn. 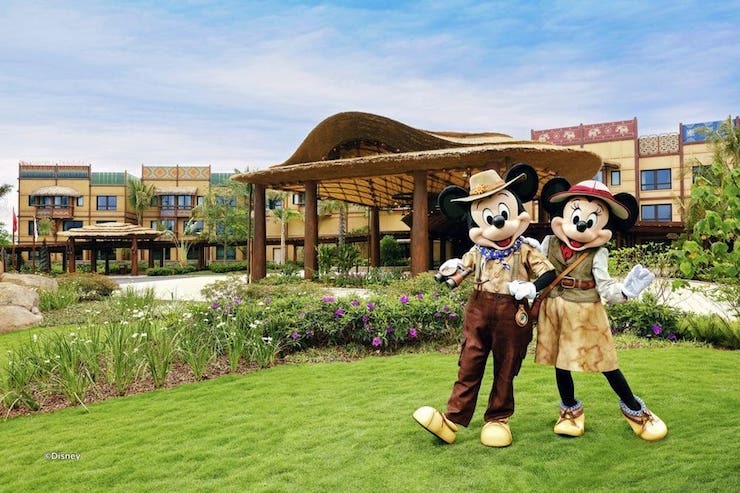 There are plenty of activities to bring on that Disney magic AND this is the only Disney hotel where you will have Disney characters splashing around the pool with you! 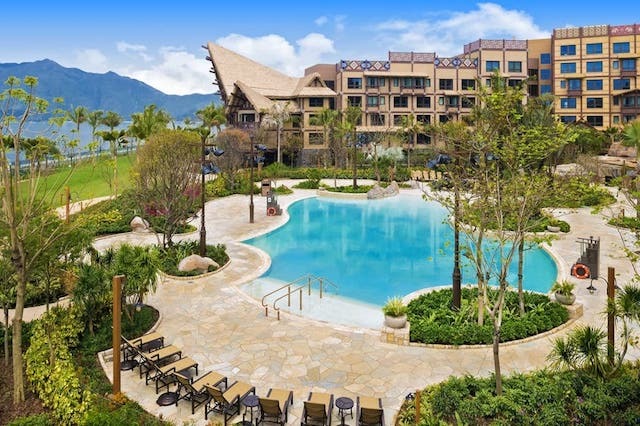 Check out this quick comparison of the features of all three Hong Kong Disney Hotels to help evaluate your options if you are trying to decide between the three. 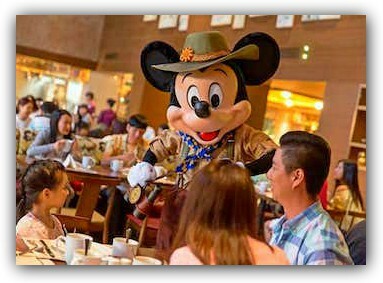 The Disney Character Dinning experience is one of the hotel's main attractions and is offered at two of the Lodge's restaurants, Dragon Wind and World of Colour. 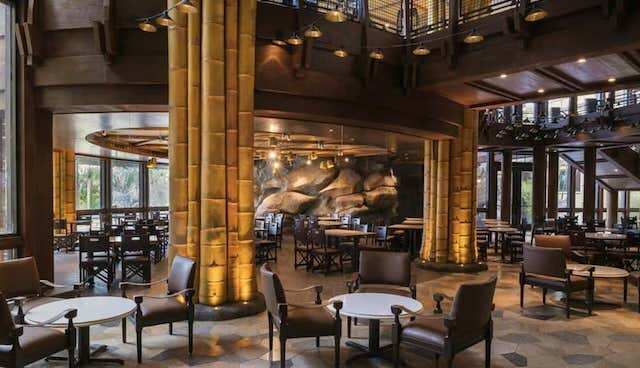 This is where you get to share your Mickey-shaped waffles, pancakes and dim sum with the whole gang of characters which will roam around the dining room and come to your table and say hi, take pictures with you and have a little fun! As opposed to the character greetings at the park, there is no standing in line, the characters will come to your table. The entire thing is coordinated so that no table is skipped, so you get to see all the characters that happen to be making the rounds that day. Reservations are a must during peak season and holidays, be sure to check the times which might change seasonally. 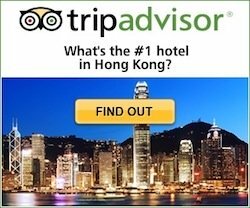 Call +852 3510-6000 for latest info, sitting times and reservations. Their Left-Lugagge Management makes it easy if you are arriving early or leaving late, they will keep your lugagge while you visit the park. 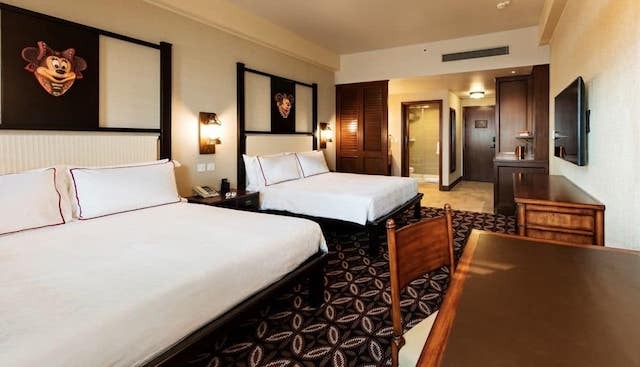 If you are coming in an overnight flight however, and arriving early in the morning, staying at this hotel might not be optimal, as you are not able to check in until the early afternoon, and visiting the park after the red-eye special is not a nice beginning to your holiday. 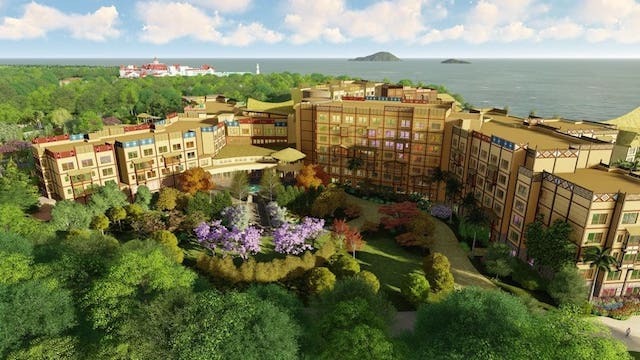 Check the location of the HK Disney Hotel on our Disneyland Resort Map.